Sleepovers have never been so silly! 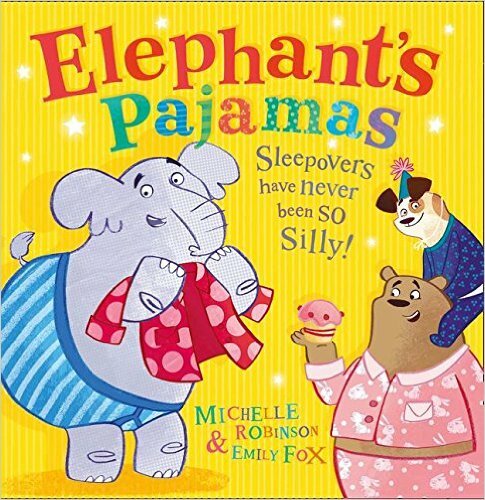 A hilarious animal story from award winning children’s author, Michelle Robinson and debut picture book illustrator, Emily Fox. Elephant is so excited to have a sleepover with all of his animal friends. Until he realizes he has a problem; he doesn’t have any pajamas! Oh no! Elephant is embarrassed when he can’t find a suitable pair even after searching high and low! This is a very silly story, but it’s also full of teachable moments for children and highlights the power of empathy, generosity, and friendship. What can Elephant’s friends do to make sure he joins in the fun? Read the book and find out how! About the Author: Michelle Robinson grew up in Gloucestershire. 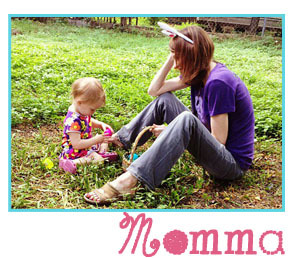 She worked as a copywriter for radio and TV adverts before becoming a full-time children’s author. She lives in Frome, Somerset. About the Illustrator: Emily Fox gained a first class degree in Illustration and was awarded ‘Highly Commended’ in the Macmillan Children’s Book competition in 2012. 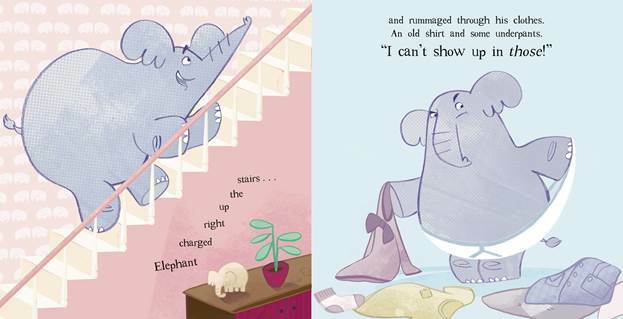 Elephant’s Pyjamas is her first picture book.